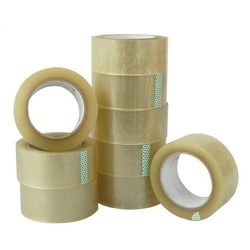 We offer a wide range of BOPP Self Adhesive Packaging Tape in transparent, These tapes are manufactured from highly scientific techniques and are checked stringently at manufacturer’s end. 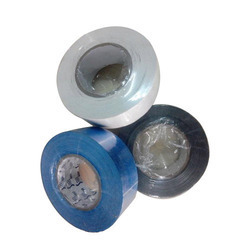 We are instrumental in offering HDPE Tape to our clients. The offered product is fabricated in conformity with universally accepted standards using quality approved fabric with the help of highly advanced technology. In order to satisfy the varied demands of our esteemed clients, this product is available in flexible modified options. In addition to this, our cloth is vastly demanded in domestic markets. With the help of our state-of-the-art infrastructure facility, we are engaged in manufacturing and supplying robustly-built Semi Automatic Strapping Machine. This machine is engineered using high grade raw materials and components that are procured from authentic vendors of the market. Post-production, this machine is stringently checked on various parameters to ensure high performance. This machine is highly acknowledged for superior finish, longer functional life and high tensile strength. 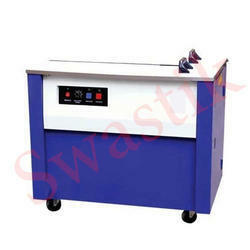 Semi Automatic Strapping Machine is delivered to clients within the time specified. We are offering PVC Stretch Film to our client. 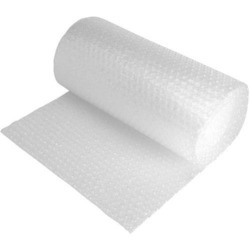 With the support of our qualified professionals, we are engaged in offering a superior quality Air Bubble Film. Our offered product is precisely processed by our team of qualified professionals using the premium quality raw material. In order to fulfill variegated requirements of our clients, the offered range can be obtained in variegated sizes and dimensions. In addition to this, our qualitative product is praised by our valuable clients from every nook and corner of the nation. Our reputed organization is actively involved in offering a wide range of Foam Net For Fruit Packing to our valuable clients. 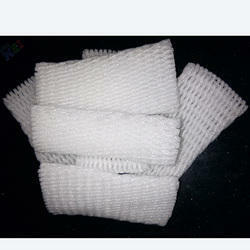 This foam net is tested on various parameters in order to maintain its compliance with internationally set standards. The offered product is widely praised for their reliability and premium quality. In addition to this, we offer this product to our esteemed clients within the promised time - frame. 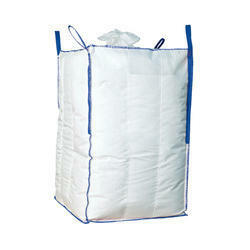 Being a well-established enterprise, we are engaged in offering a vast range of HDPE Bag. This product is fabricated using optimum quality raw material and advanced techniques. Our product is available in variegated sizes and dimensions. We can also customize this product as per variegated requirements of our prestigious clients. This cloth can be purchased from us at industry leading prices within the promised time-frame. 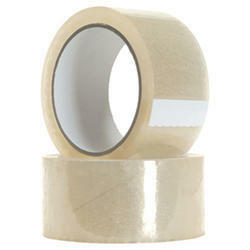 We offer an extensive assortment of BOPP Tape. 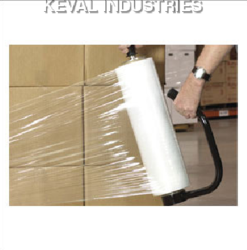 Established in the year 1994, at Mumbai (Maharashtra, India), we, “Keval Industries”, are a prominent firm engaged in Manufacturing, and Trading a commendable range of Self Adhesive Tape, Bopp Tape, Low Tack Tape, Polyester Tape, PVC Tape, Masking Tape, Plastic Box Tapping, Stretch Film, Air Bubble Film, etc. These products are known for excellent sealing strength, glossy finish, high tensile strength and waterproof in nature. All the products manufactured by us find their application in many industries like food industry for packing of food items like soups, meat and much more, pharmaceutical industry for packing drugs and medicines, sanitary industry for packing detergents and in the cosmetic industry for packing of shampoos and many more items. Further, these products are available in different lengths and thickness as per the requirements and demands of our valued patrons.